No one particularly likes going to see the doctor. Often, patients just hope and pray their troubles will go away. While smaller issues like bruises, blisters, and stress fractures may heal on their own, toenail fungus is a more persistent problem that requires treatment. Unfortunately, there is no easy cure once your nails have turned yellow with infection. You must wait until the diseased nail grows out, which could take 12 to 18 months. Also, you must treat the fungus daily. Nail lacquers and creams show very minuscule success rates and require daily diligence. Oral antifungal pills may lead to serious side effects, require frequent liver monitoring, and a daily dose for months on end. Laser toenail fungus treatment can cost as much as $1,500 for one session, which is not covered by insurance. Even so, it’s worth seeing a NYC podiatrist to discuss your options if you suspect that you have toenail fungus because it will not just go away! 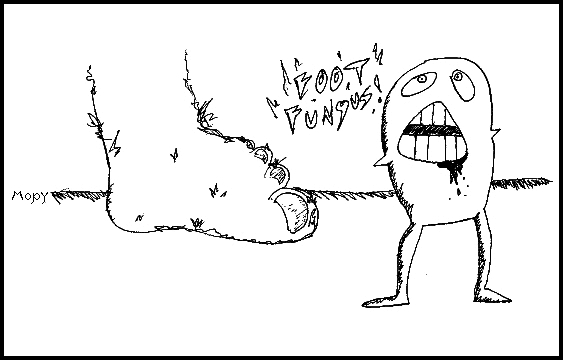 Toenail Fungus Is An Ugly Bother. “Fungus can make the nails very thick and difficult to cut,” says Dr. Katherine Lai from The Center for Podiatric Care and Sports Medicine. “Yellow, thick, and crumbling nails can really limit your options come the summer time when it’s fashionable to wear sandals or open-toe shoes,” she explains. “Not only that, but you run the risk of having the toenail separate from the bed, causing the nail to fall off completely.” Usually by this stage, the inflammation and pain are pretty severe. The toes may look and feel so deformed that it becomes difficult to wear regular shoes or walk normally. Sadly, it isn’t until this stage that many patients seek the advice of a podiatrist. We have seen a handful of very serious cases of untreated toenail fungus over the years. “Toenail fungus can spread to your skin, to the other nails, and possibly to your hands, although that is very rare,” cautions Dr. Nadia Levy. Fungus migrates in about one out of every 24 cases, she adds, with older people on medication, corticosteroid users, and chemotherapy patients comprising the most likely candidates. It’s not at all uncommon for patients with toenail fungus to also succumb to athlete’s foot, jock itch, and ringworm. “If your immune system isn’t functioning at its very strongest, the fungus will work against you to open the body up to other attacks,” Dr. Levy explains. Toenail Fungus Opens The Body To Infection. Lastly, it is important to remember that the nails are there to protect you from further injury and infection. “In some patients, there may be an increased risk of cutting the skin and developing a bacterial infection on top of the already existing fungal infection,” Dr. Lai adds. This worry is especially real for diabetics and immuno-compromised patients. According to the SteriShoe Blog, bacterial infections — that get into the body through infected nails — may lead to foot ulcers and gangrene. We don’t mean to scare you with these tales of untreated onychomycosis. But rather, we hope to shed light on the importance of catching any medical condition early, when it is easiest to treat. Initial signs of toenail fungus to look for include thickening of the nail and discoloration. As the nail worsens, you may see white or yellow patches and crumbly chalkiness along the outer edges. If you are feeling brave, this page contains photos of toenail fungus infections you may use for comparison.